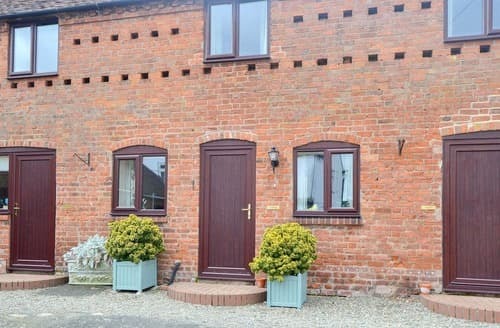 What our customers are saying about our Holiday Cottages In Chirbury With Brompton To Rent. "I've stayed many times before at S21465. 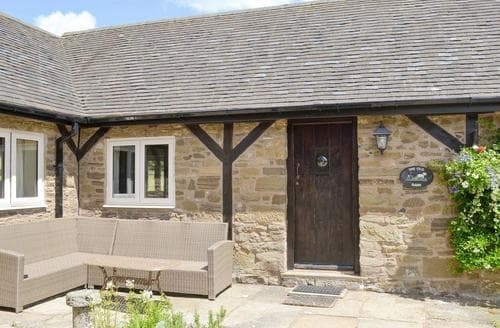 It's in an excellent location to literally escape to the country. 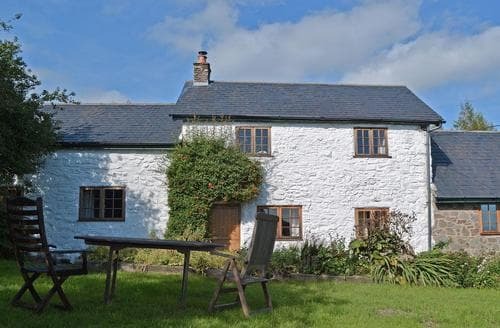 The cottage is in a quiet and secluded spot on a hill and is equidistant between the Welsh borders and Welsh pool and the Snowdonia National Park and Cardigan Bay. 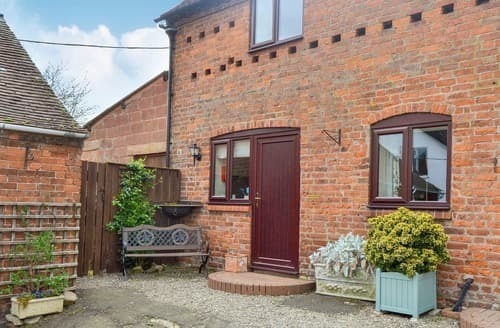 If you're after some kind of holiday resort with lots of things to do on the door step, then this cottage would not be for you. 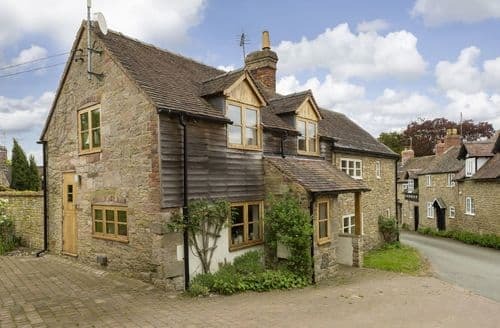 There are no near neighbours so you will have the cottage and its immediate surrounds to yourself. 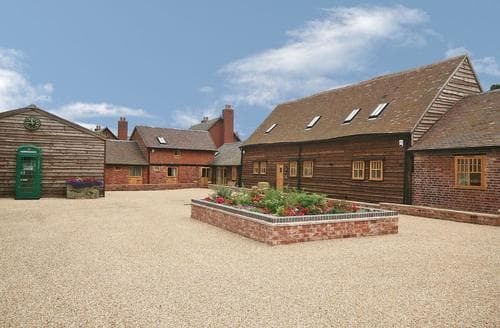 It's a big and large house and has plenty of room for either family friends. 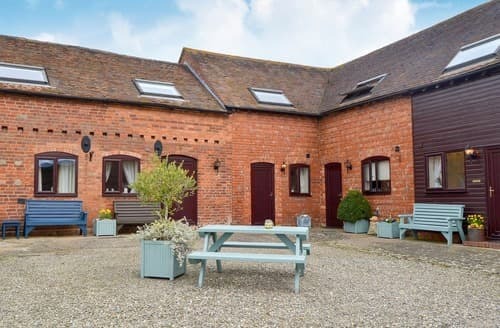 The cottages offers a wonderfully quiet respite from all the stresses and strains of the modern world and it's fantastic for people who love to be immersed in the great outdoors. If you love rambling, mountain biking, bird-watching, running, cycling etc, then this would definitely be the perfect place for you.There's tonnes of walks in the surrounding area. It's an absolute walkers' paradise and the same could be said for fell runners too. There are a scattering of fairly vibrant small towns, all within around a 30 minute drive or so. Some may take up to an hour. 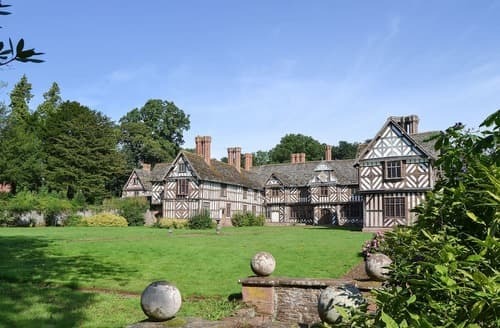 Personal recommendations would include Welshpool, Clun, Bishop's Castle, Montgomery, Chirk, Dolgellau, Aberdyfi, Porthmadog, Portmeirion and the absolutely stunning Shrewsbury.Castles of note nearby include Powis Castle, Castell y Bere, Harlech Castle, Clun Castle and Montgomery Castle.Mountain bikers should head to the Coed-y-Brenin. There's also fantastic trails for walkers in there and lots of stunning waterfalls - Rhaeadr Mawddach and Pystyll Cain!A must on anyone's itinerary would be the Kerry Vale vineyard, near Churchstoke in Shropshire. 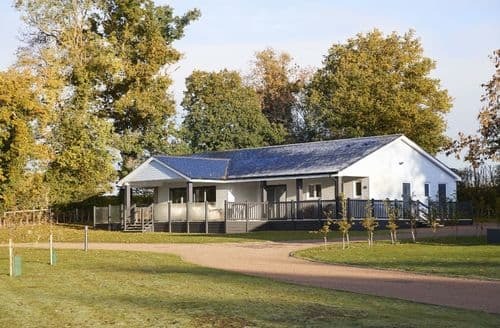 It's opened within the last 8 years and is an English wine producing site. It has origins that date back to Roman times. 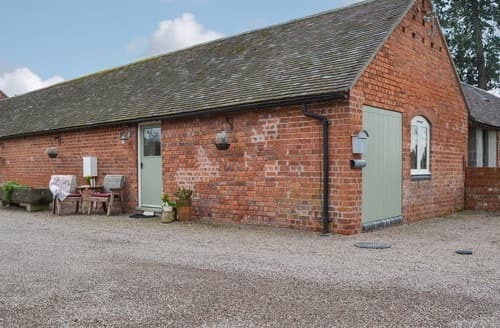 There's also another English vineyard at Wroxeter, which still has impressive remains of a Roman settlement.Lake Vyrnwy is the nearest attraction, and is just a 10 minute drive away. There's a cafe and shop at the dam end of the lake and the Lake Vyrnwy Hotel offers more in the way of fine dining and so on. 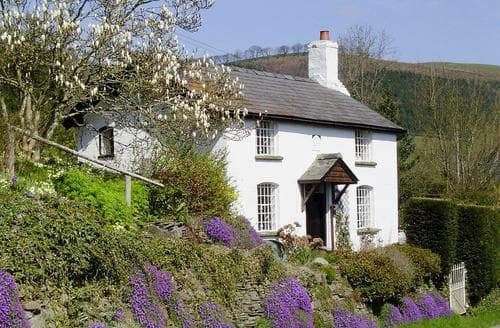 There's also plenty of pubs, cafes and restaurants in Dolgellau, Portmeirion and to a lesser extent in Bala and Welshpool. 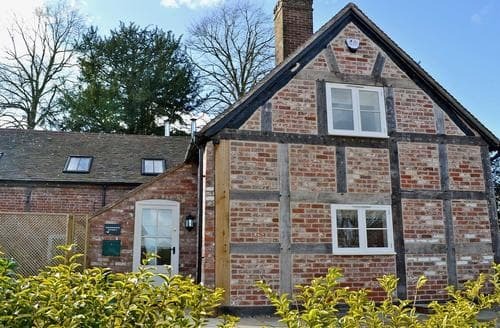 For a wide range of places to eat, people should head to Shrewsbury. There's also some charming tea rooms in Harlech and Aberdyfi." "S21465 is somewhere I've stayed on quite a few occasions. 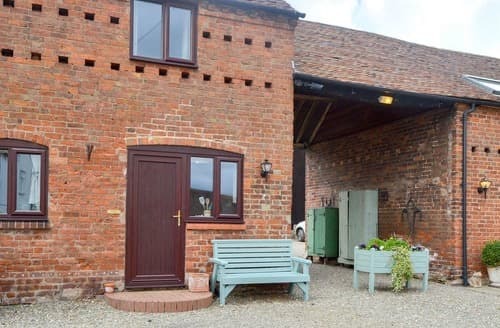 It's certainly worth booking for the surrounding views of the unspoilt countryside. 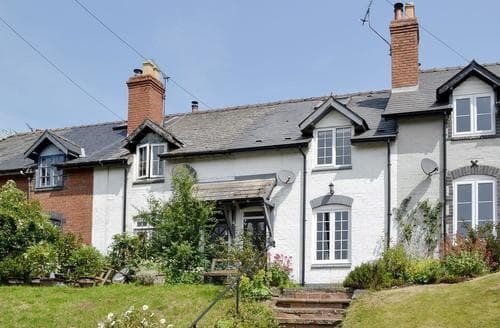 If you want quiet seclusion with no near neighbours then this is definitely the place for you.Bala, Welshpool and Dolgellau are three of the nearest towns. They're usually buzzing with people and tourists. There's plenty of pubs and cafes in all of them. Dolgellau is perhaps the nicest of them all with its pretty old brickwork and narrow ancient streets. It's very close to the Cardigan Bay coastline and the beaches and water are clean and safe. Welshpool is good for supermarkets and shops. There's a large Tescos which stocks most of what people will need. There's a large Aldi, B&M and Morrisons too.There's lakes aplenty near the cottage. Lake Vyrnwy is a 10 minute drive and has a shaded, flat road to walk along. Bala Lake is impressive as are many others close to the Cader Idris, near Dolgellau. The Coed-y-Brenin forest is fantastic for walks, mountain-biking and for all of its waterfalls (Pystyll Cain, Rhaeadr Mawddach).Walkers will have masses of trails to explore. It's a walkers' paradise around the cottage and beyond. Southern Snowdonia is perhaps one of the most beautiful parts of all of the United Kingdom. 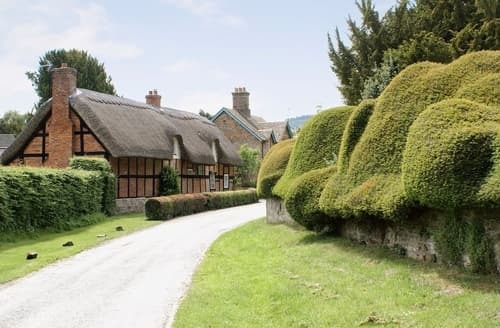 Sites well worth checking out are Castell y Bere, Harlech Castle, Mary Jones' Chapel and Home, Portmeirion, Porthmadog, Criccieth Castle, Aberdyfi, the Centre for Alternative Technology, Coed-y-Brenin Visitors' Centre and so on.But Shropshire is also a powerful draw and there's plenty of wonderful small towns to explore such as Clun, Bishop's Castle, Much Wenlock, Chirk and Ironbridge. 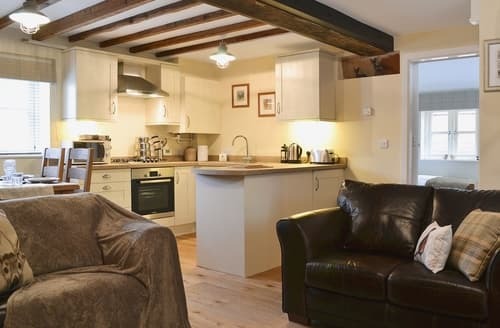 Shrewsbury is always a delight and has masses of cafes, restaurants and shops to explore.People should also head to the ruins of the nearby ancient Roman town of Wroxeter - it was the subject of a Channel 4 show and a replica of a Roman villa was built there. 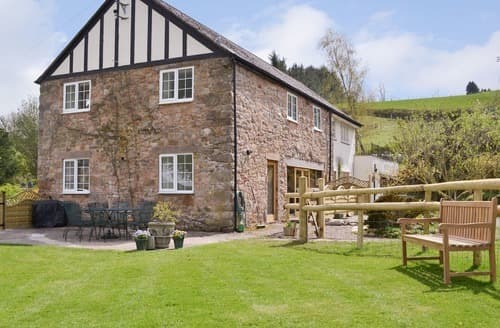 A local hotel, near the local vineyard also does authentic Roman type banquets (The Wroxeter Hotel) or good afternoon teas - whichever you prefer.There's also a small local shop and post office in the nearest village of Llwydiarth. The owner is very pleasant and amenable. There's also a small petrol station there." "Just got back from a really lovely 5 days in the cottage. Melvin and Louise were such welcoming hosts and were only a phone call away. 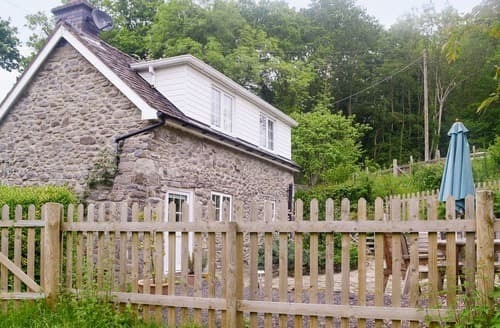 The cottage is very cosy and a good location to drive to all amenities (I'd highly recommend an afternoon tea at the vintage bay tea rooms in Welshpool, Climbing Snowdon, a visit to Zipworld and a day in PortMerion). Additionally Melvin was kind enough to give us a tour of the farm and see all the lambs which was a lovely touch. Everything you may need is provided including lots of wood for the log burners! 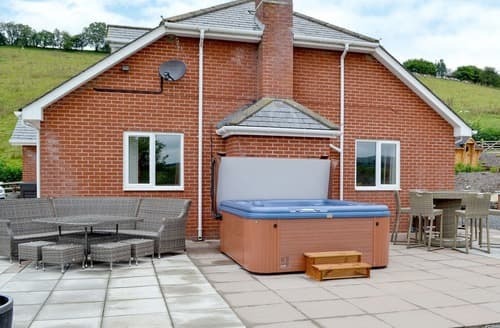 The hot tub was a lovely touch however we only used it once as it took an awful long time to warm up and in the chilly march evenings we weren't brave enough to get outside! 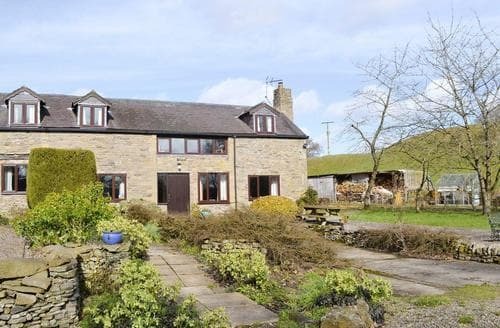 The only other thing missing through no fault of the owners is a nice country pub down the road. 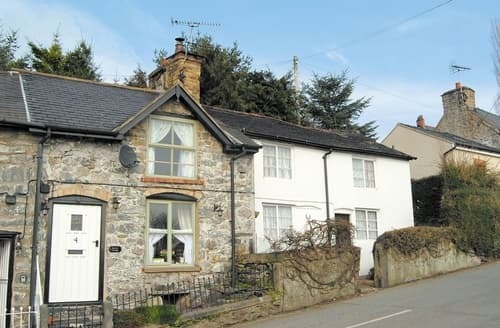 Would highly recommended this cottage and would love to return in the future! A big thank you for having us :)"
"As a whole we all thoroughly enjoyed our weekend away. 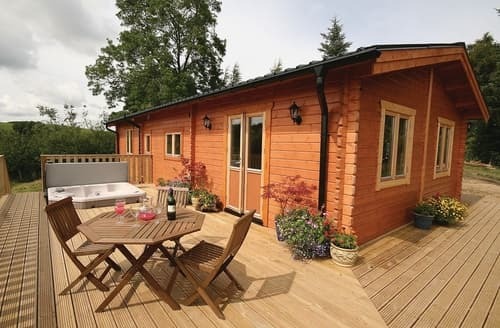 However we didn’t appreciate a visit from the owner at 08:00 on the Saturday morning, she came and inspected the hot tub, then came and spoke to members of the group. The hot tub felt cold when we went in it so obviously we turned it up. Which was apparently not allowed. This ‘inspection’ put us off using the hot tub again! 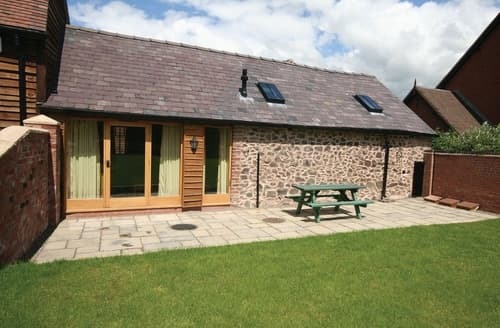 As a group we have stayed in Many cottages with hot tubs, and have Never seen any owners. 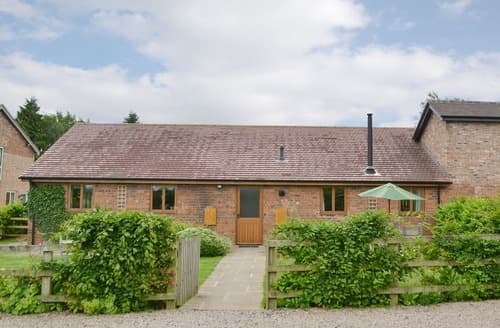 It felt like we were being monitored and we didn’t appreciate it!Apart from that the house was stunning, immaculate and we loved the log cabin. We had a beautiful welcome hamper which was appreciated. Every peice of kitchen equipment you could think of was there! We very nearly got snowed in, and we were offered to stay there no problem."